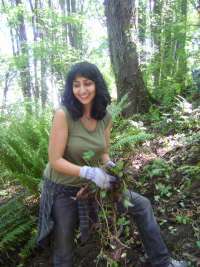 Join us for our first-of-the-month work party in Cheasty Greenspace/Mt. View this Saturday, August 7, from 10am-12pm. Please come out for some neighborhood bonding while removing invasive plants. We meet in front of 2809 S Alaska Place (one block west of the CCity Light Rail Station) and supply all the tools, gloves and support. You come with your own water and dynamic energy!